According to Digital Foundry’s latest technical report, Star Wars Battlefront only saw improvements since the beta. Digital Foundry has spent some time with the final code of the PlayStation 4 version of Star Wars Battlefront, and reports the game has improved since the beta, which itself ran smoothly. “What we have here is basically a very stable 60fps. It’s not perfect – there are duplicates popping up here and there in select situations – but the overall level of performance is remarkably stable here, a far cry from Battlefield 4,” the site said. The site’s analysis is based on play sessions that saw 30 players in one battle, noting that it’s yet to try full 40-player modes. In addition, a more detailed look will be published later. 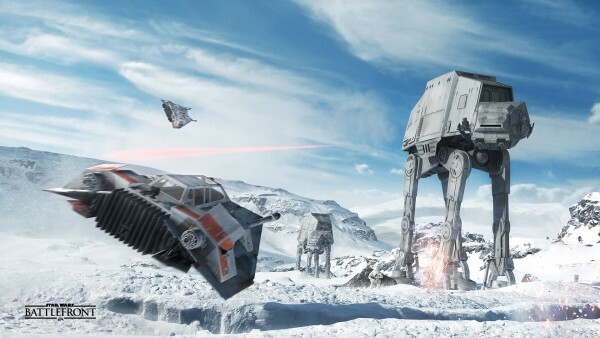 Star Wars Battlefront is out November 17 on PC, PS4, and Xbox One.